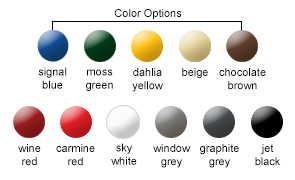 Designed for style and utility. 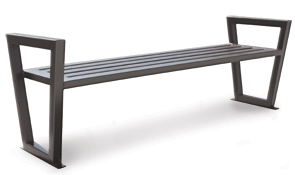 The Decora Park Benches' unique look brings a new element to outdoor seating. 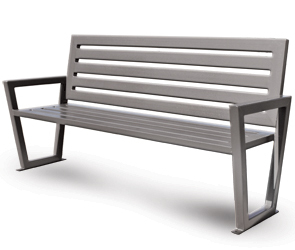 Constructed with a high quality steel frame and durable steel slats, this park bench will withstand years of heavy usage. 3" x 1-1/2" x 1/8" Steel Seat Frame. 2" x 2" x 1/8" Steel Arm Frame.